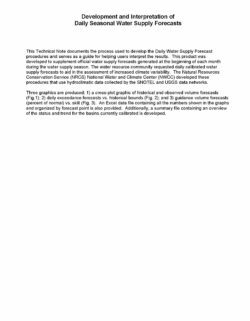 This Technical Note documents the process used to develop the Daily Water Supply Forecast procedures and serves as a guide for helping users interpret the results. This product was developed to supplement official water supply forecasts generated at the beginning of each month during the water supply season. The water resource community requested daily calibrated water supply forecasts to aid in the assessment of increased climate variability. The Natural Resources Conservation Service (NRCS) National Water and Climate Center (NWCC) developed these procedures that use hydroclimatic data collected by the SNOTEL and USGS data networks. Climate change projections for California indicate reduction in the percentage of precipitation that falls as snow, and increase in the percentage that falls as rain, due to warmer temperatures in the future. Previous work has shown overall decreases in rainfall / snowfall ratios for the western US over the last 60 years. 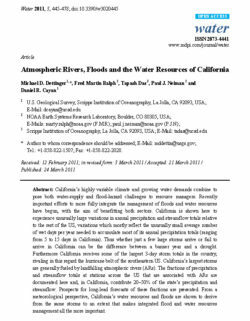 Of interest in this study is the quantification of snow/rain ratios for smaller regions, specifically in California. Estimating cumulative precipitation phase ratios for specific regions is difficult due to large differences in local precipitation. In California, the high relief of the surface topography makes such estimates particularly difficult. 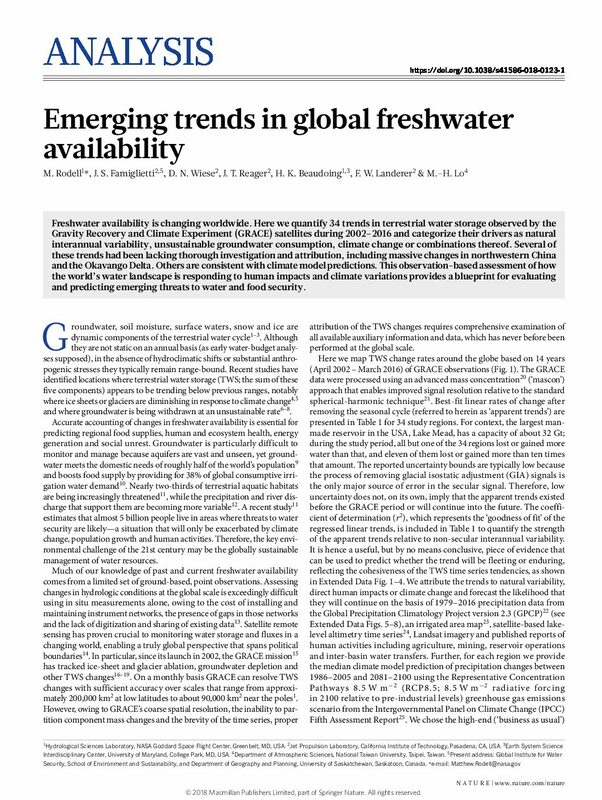 The low spatial resolution of suitable precipitation/snow water equivalent monitoring stations contributes to the difficulty in quantifying the trends for sub-state sized regions of interest in this study. 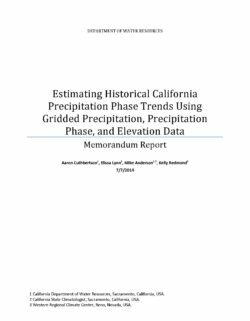 The present exploratory study develops and describes a methodology that uses readily available research data sets to produce gridded estimates of historical rainfall as a fraction of total precipitation for areas comprising the major water-supply watersheds of California. Using this methodology, statistically significant increases in the ratio of annual liquid to total precipitation are seen for large areas in the northern part of the State and northern Sierra over the water year. No significant annual trends are seen for regions in the central and southern portions of the Sierra. Future work extending the analysis to distinct elevation ranges and seasonality would provide more refined conclusions. 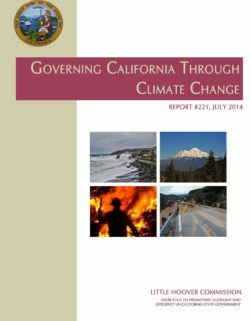 State government, which guided California through the instability of the Great Depression, managed the profound disruptions of World War II and steered, during following decades, one of the nation’s great population, development and innovation booms, faces again an historic governing challenge in climate change. A $2 trillion annual economy and the needs of nearly 40 million residents ride on the outcome of the state’s preparations and response. Climate change, which most scientists believe has already begun, promises decades of wilder weather and great uncertainty regarding the scale of annual precipitation, wildfire activity, sea level rise and daily temperatures. These changes have powerful implications for agricultural production, air quality, real estate values, electricity generation, public health and California’s renowned quality of life. 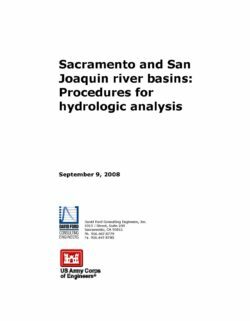 procedures for the hydrologic analysis. to be completed in the hydrologic analysis. 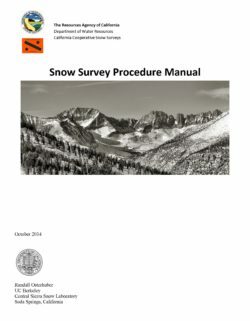 The U.S. Department of Agriculture (USDA) Natural Resources Conservation Service (NRCS) Snow Survey and Water Supply Forecasting Program issues water supply forecasts for hundreds of points in the Western United States. The primary forecast product is a seasonal volume for a specified period of months (e.g., April–July). These forecasts are issued near the first of the month between January and June. Mid-month updates are also issued for selected forecast points. In addition, daily guidance forecasts are issued for a subset of forecast points using an automated procedure. 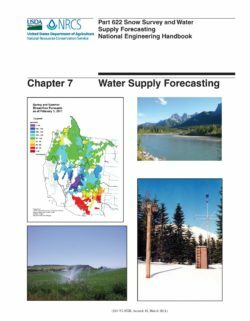 This chapter describes the essential features of water supply forecasting as practiced in the NRCS. The topics are presented in a roughly chronological sequence of activities, from forecasting point establishment, to data gathering, to model development, to operations, and finally to verification. Citations of foundational professional literature and NRCS technical notes are given to provide sources of details on mathematical procedures and other technical information not explicitly described in this chapter. 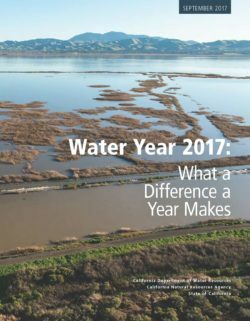 Water year 2017 (October 1, 2016 to September 30, 2017) dramatically illustrated the variability in California’s annual precipitation, ending the state’s 5-year drought and coming in at second place for statewide runoff, behind the wettest year of 1983. Virtually all of the state experienced at least average precipitation, and key Sierra Nevada watersheds were much above average. Governor Brown lifted the proclamation of statewide drought emergency he issued in 2014, although the state-declared emergency remained in selected central California counties experiencing lingering drought impacts. Prior to 2017, California had experienced a decade of largely dry conditions. Eight of the ten preceding water years were dry, and the water years of 2012-15 set a record for the driest consecutive four-year period of statewide precipitation.